In this article you will find all project skins with description, RP price, release date and video review. Let’s start with the birth of the idea and how it took its form, form of the PROJECT that we all known and love. 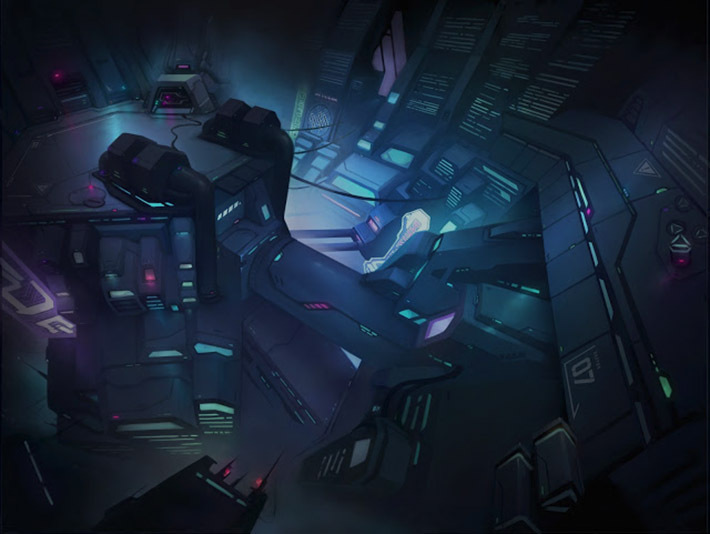 At the time of creation of these skins in the world of the LoL, there were already two futuristic lines of hi-tech skins – Mecha and The Evolution. But if Mecha and The Evolution look like giant robots or mechanical monsters, where the combination of form and functionality created the image of an enormous unstoppable machine, the size of the PROJECT skins will not be different from human size. Mechanical improvements and augmentations significantly expanded the functionality of such champions. All participants of this project changed their human nature to unimaginable power. This technology subordinated their souls, but still, they remained humans. Designers especially left some parts of these champions untouched, so they do not forget about their past. Small elements that indicate their human origins, like Yasuo’s leather glove or Leona’s jaw. As a result, we receive a set of wonderful Project LoL skins! PROJECT is an ideal fusion of the inner essence of the subject with the latest weaponry and body augmentations. The result of this process can be the ability to fully control one’s essence and release its real power, in rare cases this internal force can take a physical form. It is impossible to predict the results of the experiment because only nine human beings survived this PROJECT. Perfect self-control and outstanding physical performance are keys that open doors for you to discovering your full potential. Feel the power of the PROJECT, if you dare. The PROJECT LoL series, like every new series, brings to us many champions skins, various icons, and unique ward skins. Icons were quite boring but still stylish. You can see all of them on screenshot below. Here we list all project icons, sadly some of them unavailable to obtain now. By “all” we mean only 2 project related ward skins. If screenshot of ward above is not enough then you can watch a video spotlight of this ward on YouTube. And again if screenshot of recon drone ward is not enough then you can watch a video spotlight of this ward on YouTube. Before we go straight to project skin spotlight let’s list them by prices. As you see all project skins were made of epic or legendary quality. Maybe once we will see an ultimate skin in Project thematic. The main objective of the Project Overcharge mode is to achieve 50 points, by killing enemy champions. Points are earning by killing champions, that’s simple: one kill = one point, but if your champions are Overcharged then you will obtain five points per every kill. Especially for this event was created the new map – Substructure 43. The map looks like a futuristic city, that is definitely was taken right from the Dystopian timeline. At the Substructure 43, you need to kill special minions – Charge Bots (That are definitely not Scuttle Crabs), because some of them are carrying special Augmentation Fragments that will help your team and give an opportunity to obtain the Overcharged buff. There are special Surveillance Zones that are placed all across the map, that will reveal your position to your opponents, but if your team Overcharged then each opponent will leave a small trail, that chasing loosely after him. Blast nodes is an analog to the Blast Cones, but with some range adjustments. In all other aspects, they work exactly in the same way – you attack it, it explodes and knocks you out of the danger. The new feature that was designed especially for Project Overcharged in-game event. After you step on this ventilation, your champion will be boosted into the air in a selected direction. Repair Modules heal your augmented champions, they can be found almost everywhere at the Substructure 43, just like the second special module – Recharge module. Recharge module refreshes all your cooldowns. Players start this mode at Level 6, and with 5500 gold. Gold is earning by surviving Overcharged state of the enemy, killing champions, and collecting Augmentation Fragments. All healing can be obtained only by collecting special Repair Modules. Champion modifications: -400 Vision Range, +50% Spell damage, +200 Champion Health, +15 Armor and Magic Resist. Instantly reset all cooldowns on start, also every champion kill reset all CDs. Champion enhancements: +60% Movement speed, +30% CDR, +30% CDR cap, +1000 Mana per second, +25% champion’s size. If you get damaged during this state, your movement speed will be reduced dramatically, instead of damaging you. 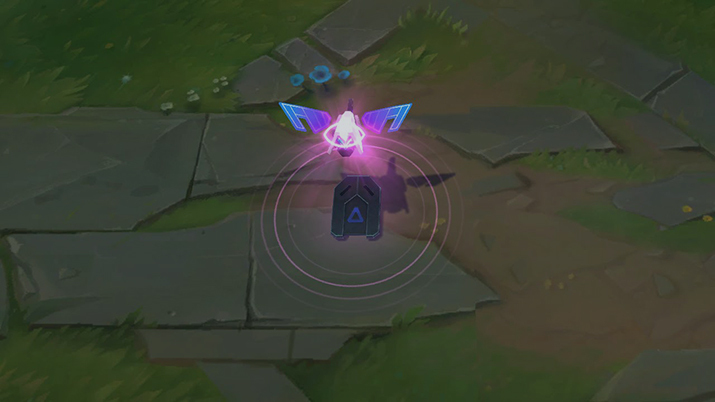 If you affected by knocking off ability, then the movement speed of the enemy champion will greatly be increased. All enemies that manage to evade death, during your Overcharged state will be healed and receive a nice gold bonus. Overdrive was the first Project LoL skins that were created, and maybe some of them look outdated, but they served as the foundation, on which the developers created many amazing skins for fans of the LoL. The concept of the PROJECT Yi was firstly named as a Cyber Yi, but later its thematic was incorporated into the PROJECT skin. Now you know more! PROJECT: Yi skin represents Master Yi as a heavily augmented warrior that participated in the PROJECT. Yi received a new armor, and now he looks like some cyber ninja with a Fusion blade. The primary color scheme is orange, but his new blade – Fusion Edge, changing the color into blue when the ability VooJoo Style is activated. With the new Legendary skin, Yi received the particle effects upgrade that perfectly fits in his futuristic outfit. But the animations are all the same, except new Recall and Spawn animations. The brightest side of this skin is whole new sound effects: Completely new Voice Lines, new interaction system and brand-new SFX for all his abilities. This skin is just perfectly fit into the whole theme of the Project Overdrive spirit. You can buy PROJECT: Yi skin for 1820 RP in the LoL in-game store. After the modification, Leona received an updated armor and weapons. The shield is a retractable anti-shock panel with titanium parts, which provides maximum protection against physical attacks. She used it to block and stun enemies with operator’s energy assistance. Embedded in a new mechanically improved body, armed with an energy sword and a power shield, PROJECT Leona also received an update for her abilities. New digital effects dramatically change the feeling when you are playing as this champion, and the updated sound effects and completely rewritten replicas create a slight sense of the new character. Unfortunately, most of the animations remained unchanged, except for the recall (and the paired recall animation with PROJECT Lucian) and respawn animation. 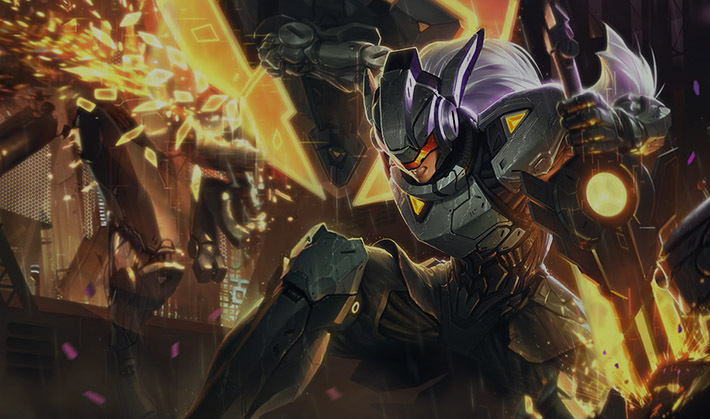 You can buy PROJECT: Leona skin for 1350 RP in the LoL in-game store. This time Lucian decided to look for help at high technologies and became a weapon himself. The only thing that reminds us that this is the same Lucian is his leather glove. The model of the champion was changed inconsistently in the Project LoL, but the head is hidden now behind a tactical mask or some kind of visor. Armed with the newest weapon – Lightcasters with an ion caster core, which fires light beams charged via secondary focusing chamber. As a casual cyberpunk ninja themed costume, Project: Lucian is kinda nice, but I do not feel the energy that, in my opinion, Project Overdrive skins must have. PROJECT: Lucian skin, unlike the Yi’s project, is considered as regular skin, so do not expect much from it. New particles in the form of the digital energy were added to all of his abilities, a new animation was added only to the recall. But they add a really cool new SFX: completely resounded champions, new VO, and new interaction system. You can buy PROJECT: Lucian skin for 1350 RP in the LoL in-game store. PROJECT Yasuo looks amazing, in the game instead of an ordinary sword warrior you will be met by a techno warrior and his newest technically perfect sword. New effects for auto attacks and abilities harmoniously complement the image of the techno samurai. New animations were added to the dance emote and when Yasuo sheathes his sword as well as new animations and visual effects for auto attacks and abilities. All this already puts this skin above the rest (rest regular) in this series, but do not forget about new sound effects such as new sounds for the Steel Tempest and Gathering Storm, new visor sound for all his emotions. 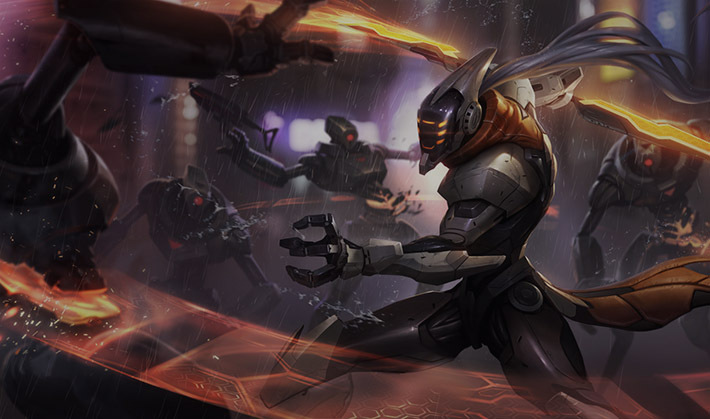 Cyber swordsman – Project Yasuo ideally represents the Project Overdrive skins, and I will suggest this skin to all my friends. By the way, Yasuo can be your personal elo booster if you master this champion. 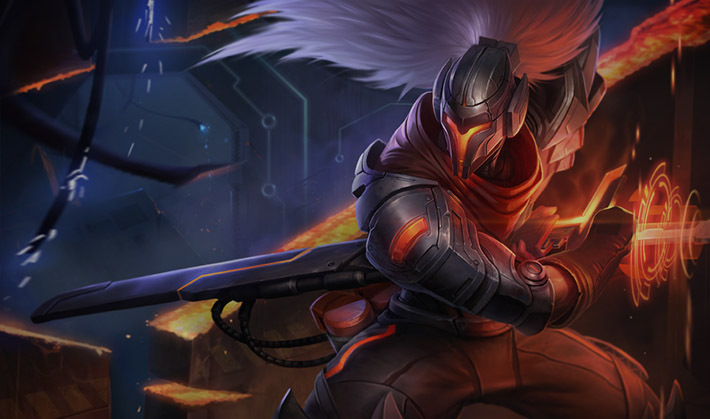 You can buy PROJECT: Yasuo skin for 1350 RP in the LoL in-game store. Project Zed is a living shadow, and with these technical augmentations, he will become even more dangerous. This time Riots decide to choose the red color scheme, and this looks fancy as hell. And new solid smoke armor together with these dual Energy blades actually looks good on him. PROJECT Zed has nice new visual effects that Riot adds to all his abilities. As all other PROJECTS, Zed received red digital effects, new animations, and all sound effect were upgraded: all movements, combat actions, skills, voice lines. Another perfect example that only proves that melee champions are much better fit the Project Overdrive theme than marksman. 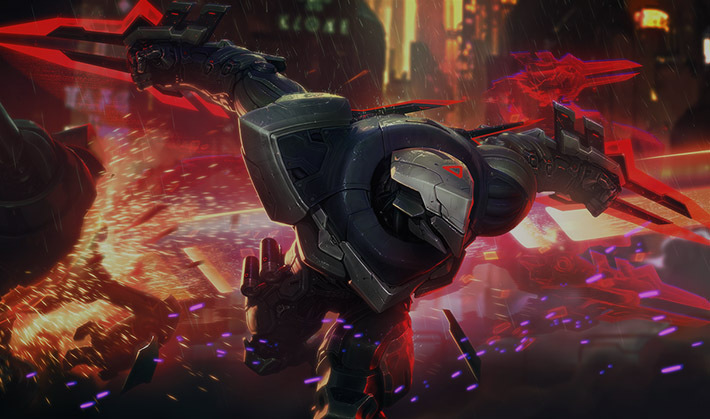 You can buy PROJECT: Zed skin for 1350 RP in the LoL in-game store. Here is the famous duelist, but this time not with a rapier but with a lightsaber. The concept of the Project Fiora itself is very different from all other Fiora’s skins. Riots tried to make unique visual effects, but in fact, they came as other Projects have. I can not highlight out anything concrete of this skin, but we definitely see the lack of dev’s inspiration. The only thing that distinguishes this skin is the really high-quality new voice acting. Sound effects are just great. PROJECT Fiora does not disappoint, but does not cause a burning desire to buy this skin. It does not meet expectations and if it’s worth buying, then only at a discount. Even taking into the account that Project: Fiora is the weakest skin (my opinion) in the Project Overdrive line, it still can find a place in your collection. You can buy PROJECT: Fiora skin for 1350 RP in the LoL in-game store. Disruption is the second wave that brings to us one of the most beautiful skin – Project: Ashe. I really like the direction, that was chosen by the Riots, and I hope to see more wonderful Project lol skins in future. In the second generation, first skin in a series is again obtained Legendary status. This time Ashe received the PROJECT: Ashe Legendary skin. Behind these synthetical enhancements is hiding our beloved Ashe. Her full body was greatly upgraded with the most advanced technologies, and even her left eye was replaced with an artificial eye or a portable scope. Her hairstyle is now different, but we can still be able to see her human nature. Unlike the first generation of PROJECT skins, particle effects and the whole color scheme do not adhere to the red or orange tones. Someone may miss her ice nature, but to compensate it devs decided that PROJECT: Ashe will have a blue color scheme and blue (not digital blue, thank God) particle effects that were applied to all her abilities and attacks. PROJECT: Ashe is a legendary skin and to match the new status she received whole new animations: abilities, auto attacks, critical hits, emotes, respawn, recall. And do not forget about brand-new sound effects and voice over. 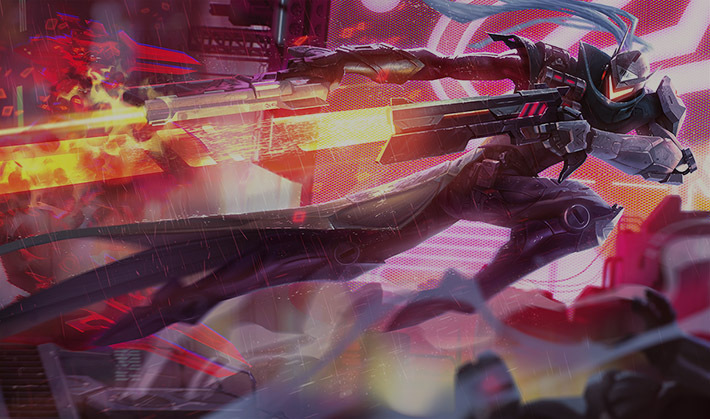 Project Ashe is trying to combine cyberpunk and Archer identities into a single whole. So if you like the concept and do not have questions, like “why do somebody would use a bow in the future?”, then just buy it. Especially, taking into the account the fact that Project: Ashe is the Legendary skin from the Project Disruption line. You can buy PROJECT: Ashe skin for 1820 RP in the LoL in-game store. Cybernetic suit and glowing futuristic sword are looking great in the contrast of the vintage feel of the classic version. Whole Ekko’s model was remade, but the dark tones of the lower body dilute the details into a gray mass. But the upper body with the augmented or artificial light-colored arms and a light green collar is much more attractive. 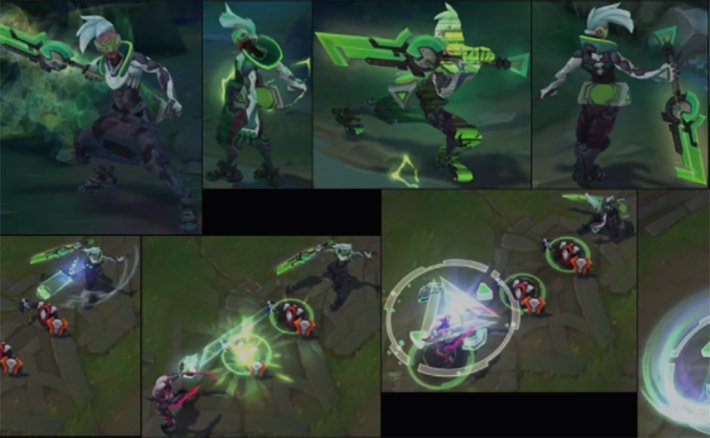 PROJECT: Ekko receive green particle effects to all his actions, and these effects look especially great with Timewinder and Chronobreak abilities. The new SFX, the soft, artificial sounds, complement the abilities’ visuals in the best way. 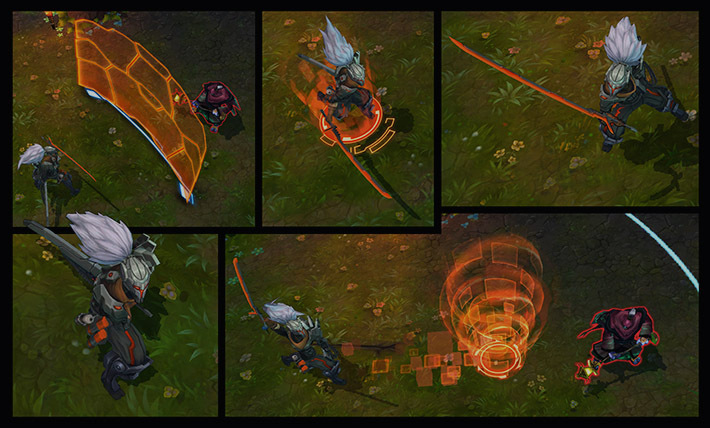 Project: Ekko is an excellent skin that fit into the Ekko’s acrobatics personality. The only thing that surprises me – how this happy guy has survived in the Dystopian world and has not changed in any way. It seems to me that there is not enough dejection or seriousness in this new PROJECT skin for Ekko. You can buy PROJECT: Ekko skin for 1350 RP in the LoL in-game store. This character does not cause me such questions as our last guest. I perfectly understand how Katarina could survive in the Dystopian world and why she decided to join the PROJECT. The augmentation naturally looks on the assassin and her armored body and synthetic parts only emphasize her futuristic aspect. But the huge amount of dark spots on her costume blur the details and in the in-game model, you will not see the same beauty that on the splash. Noticeably stand out her white left hand and long hair combed to the left. Visor and new blades perfectly complement the whole image. To be honest, this is the weakest skin in the Project Disruption line. Well, let’s move on to the new visual and audio effects. Particle effects follow the whole color scheme (red, btw) but the structure of such effects is repeated between several abilities, which make them appear too similar. Sound effects are similar to the classic ones, but still, cause some virtual feel when you cast the abilities. The only new animation that was added is a Recall with a nicely done acrobatics in it. PROJECT: Katarina is an effective cyborg assassin but in my opinion, she had a much bigger potential on this LoL PROJECT skin. You can buy PROJECT: Katarina skin for 1350 RP in the LoL in-game store. 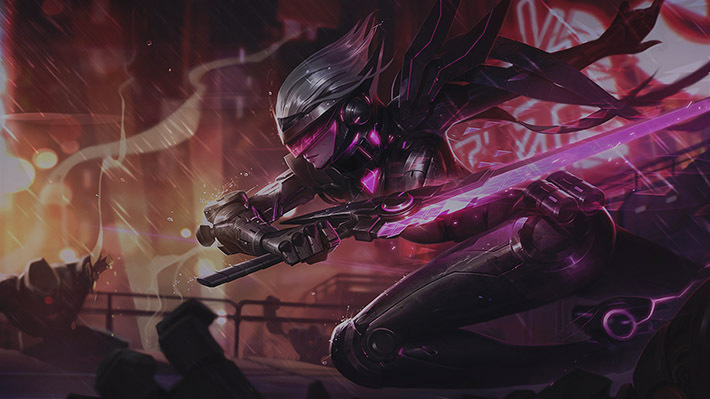 As we can see, fan-base of the LoL just love the cyberpunk theme, and Project LoL skin line is one of the most quickly expanding lines among the others, that already available in the game. In 2017, the next champions were invited to be enhanced during Project Overcharge program, they are known as Project Hunters. Also, a completely new game mode was added – Project event – Overcharge. Let’s start with my fav champion – Project: Vi. She received an excellent new futuristic Outfit, with awesome molten fists. On the whole, her new outfit looks wonderful, but I get used to observing Vi in more bright colors, and this color scheme looks a bit too monotony for me. But I really like how this yellow visor and the overheated power core was implemented to her new image, along with these awesome mechanical fists, that just burning with energy. I was really impressed with her new visual effects. I really can not even dream about such colorful and effective particle effects that were added. 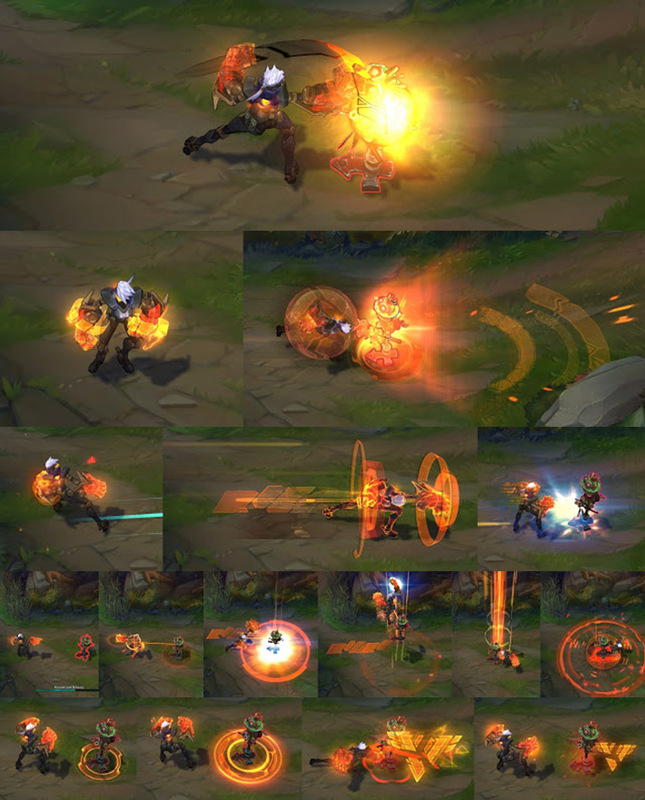 As other LoL Project skins, all her abilities now tied with the augmentations and scientific inventions. And this looks really impressive, I really love the neon amber colors and digital trails. Sound effects are executed well too. I can almost hear how the energy is accumulated and then released with powerful blasts to her enemies, and new voice overs only highlight the fact that Project: Vi is not a human being anymore. New Recall animation is as great as it needs to be: Project: Vi summons holographic monitors and quickly swipe them until she found the right that she needed, that contain information about the wanted criminal – Jhin. And then using some holographic projection she teleports to the base. This skin is a real masterpiece, and you just need to buy it, especially if you love cyberpunk theme. All is beautiful in the Project: Vi, from the new champion’s model to the new sound and visual effects. Project: Vi is greatly fit into the spirit of the Project Hunters, she is a head-hunter after all. 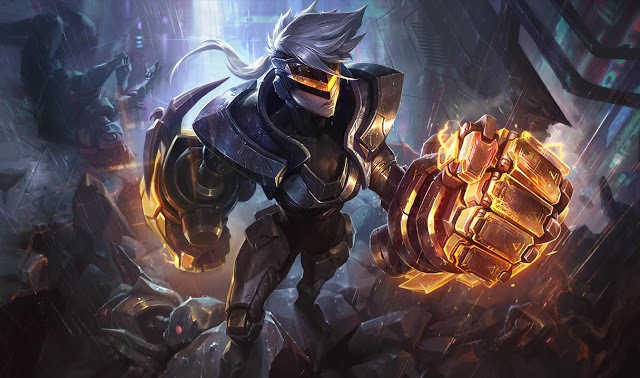 You can buy PROJECT: Vi skin for 1350 RP in the LoL in-game store. Project Hunters – Vayne is a Legendary LoL skin, and that’s the thing why I expected really unique and fresh look at the champion. And I may say that Riot totally dealt with these expectations. Project: Vayne skin has a dark and a deep purple color scheme, and she looks fabulous. Also, this skin has some interesting features, like Project: Vayne does not wear a helmet until an enemy is close. Her Project digital side is continuously evolving – the stronger the champion, the more robotic she became. This is clearly can be seen in her Voice Overs, that changes dramatically during champion’s promotion. Well, let’s go back to the model review. Vayne was fitted into a metal armor that full of Project gadgets, and even obtained a brand-new motorbike. I really love how developers coped with both crossbows. The small one is now represented as a small repulsor that Project: Vayne wear on her wrist, but the bigger one is the thing that I truly love. The giant, techno-staff that is transformed into a digital crossbow. Developers really made a great job since Project: Ash to create a weapon that is worth for Project soldiers. Sound effects are really nice and fit the skin’s theme very well – tech bows and a strong metallic resonant sound. Her VO that continuously changing during the match clearly shows the cost of such power. 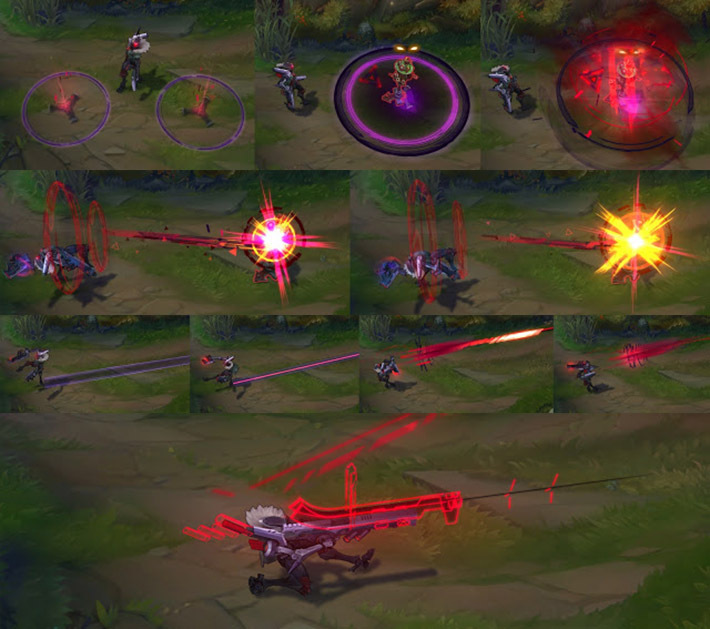 New particle effects follow the theme’s colors and painted into deep purple colors, but their form completely changed, now PROJECT: Vayne shoots with Amethyst bolts and marks an enemy with holographic markers. And while Final Hour is active a new HUD mask appears on the champion. Nice digital effects surround champion and his enemies, and they executed so incomparably, that I can play as Project: Vayne forever and never get bored. In the end, I can honestly say that Project Vayne is the coolest skin not only among the Project Hunters line but among all Projects that were ever released. And if you have some spare money, then you just NEED to buy this skin. You can buy PROJECT: Vayne skin for 1820 RP in the LoL in-game store. Jhin – is a criminal that is known all across the Runeterra, and this will be a mystery, why Project decided to use him in their “Hunters” program. But we do not know the backstory, and all we got – is his new Project: Jhin skin. An awesome crimson visor is hiding his face, a full-augmented right hand was attached to increase his stability during gunfire, and brand-new lower body. Now Project: Jhin is much more a machine than a human, and this style is so perfectly fit into the champion’s story. The whole his new outfit is just like 10 out of 10, but what about VFX and SFX? All new effects of the Project Jhin are executed artistically. The creative contrast of the particle effects that are executed in crimson tones with onyx. The new visual part is highlighting not only with the interesting color combination but with the great brand new animations. All his abilities now followed by red digital energy, and in sum with the new sound effects of the corrupting energy is creating a perfect image of the villain. The new Recall animation creating a WOW effect. We see that Jhin’s mask is a mini-robot that can easily hack the teleporting pad and during this process, we can see a frightening grin of the famous virtuoso that now is capable to destroy the whole world. 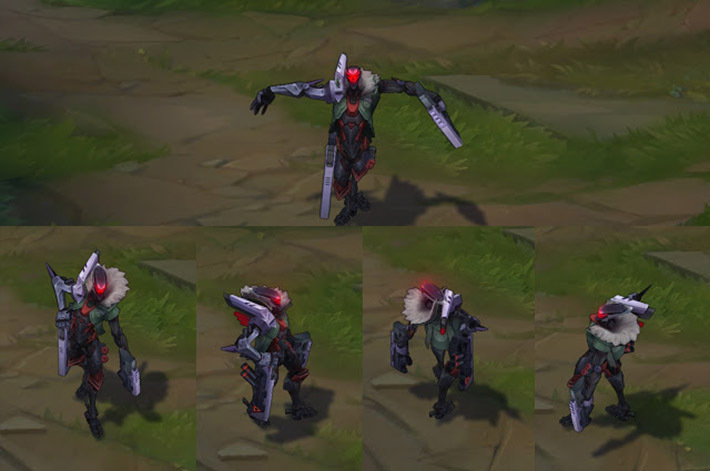 Project: Jhin needs to be in your collection, to be honest, all of the new Project Hunters skins are executed with unseen quality, and I really recommend all of them. You can buy PROJECT: Jhin skin for 1350 RP in the LoL in-game store. CYBERPUNK RULES! But honestly all these skins are look asame. They need something fresh in every project champion. I really don’t know what they can add, but Riots are so creative. 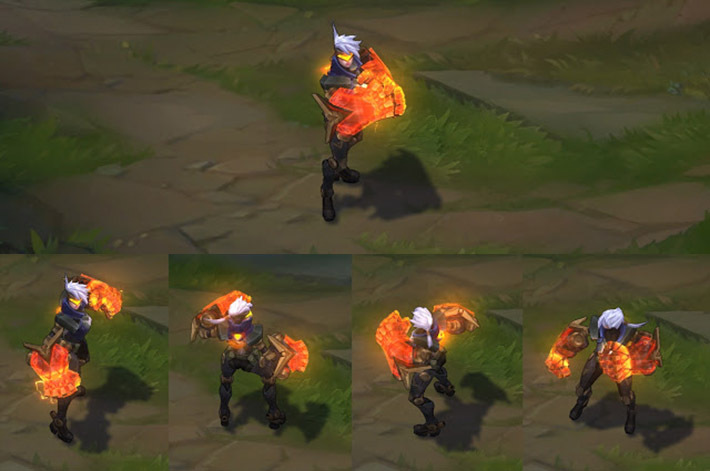 At least they created awesome legendary project Ashe skin, that is quite unique and have nice visuals! The best set of skins in the game for sure. I’m big fun of deus ex so music during Jhin ultimate makes me amused!